The St. Mary Council Knights of Columbus 10149 recently donated $1,000 to the Highland County Relay for Life. Pictured, from left, are Jerry Leibold, Dan Henize, Tom Moran, Janie Angles, Jim Hehl, Jeff Kilbarger and Creed Culbreath. https://www.timesgazette.com/wp-content/uploads/sites/33/2018/08/web1_St-Mary-pic.jpgThe St. Mary Council Knights of Columbus 10149 recently donated $1,000 to the Highland County Relay for Life. 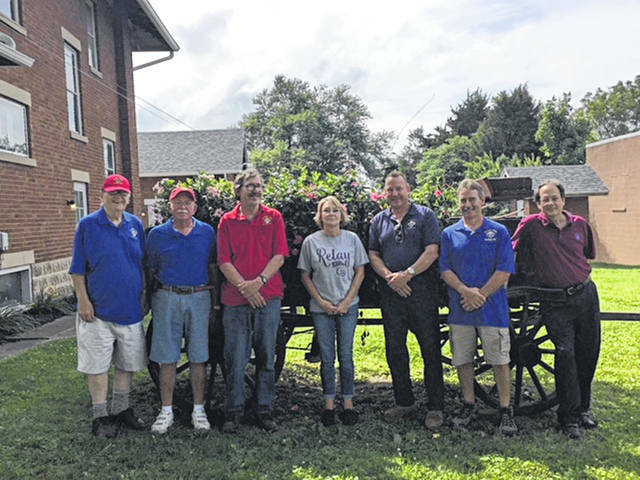 Pictured, from left, are Jerry Leibold, Dan Henize, Tom Moran, Janie Angles, Jim Hehl, Jeff Kilbarger and Creed Culbreath.